Kaylene from Autistic Mama shares her insights and expertise with us today about her expereince with meeting her son’s occupational therapist. The first time I met my son’s occupational therapist, my life changed. During his evaluation, he happily played in the kinetic sand box while his therapist and I chatted about his behaviors, his habits, and even his birth history. I explained this to her, like I’d been explaining to therapists, pediatricians, and evaluators for years… But no one believed me. Everyone said I should just “make him” eat and “make him” talk. Let me tell you, I sobbed. And sobbed. And sobbed some more. For the first time ever, someone believed me. Someone believed that my son was good. Someone knew this wasn’t his fault. 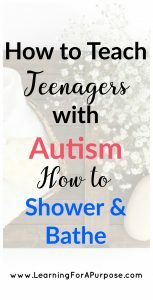 That was the beginning of a beautiful friendship… One that helped me learn the ins and outs of my son’s autism diagnosis, and eventually even helped me learn about my own autism as a twenty-something mother. But out of all of the conversations, all of the therapy sessions, and all of the knowledge shared, there was one lesson from our OT that changed our outlook and our lives. See, I knew there was something going on with my son. He had extreme language delays, his sensory needs were off the charts, and he was severely lacking in social skills. But initially? I didn’t want an autism diagnosis. 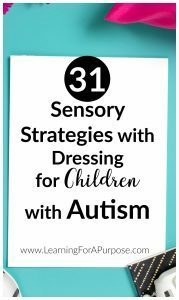 When his therapists brought it up, I actually told them I’d rather not see the neurodevelopmental pediatrician they mentioned because I didn’t want him diagnosed officially. Why? It wasn’t because I didn’t want him to be autistic. We were already convinced he was. I didn’t want the autism diagnosis to follow him and change the way people see him. And more than that… I didn’t want the goals and the progress we’d been making so far in therapy to just go away. Our OT said one powerful thing to me, that changed everything. She told me, an autism diagnosis tells us more about how his brain works and how we can best help him. It tells us more about where he’s at now. You know what it won’t tell us? What he’ll do in the future. Some people with autism drive, others don’t. Some don’t speak verbally, others are public speakers. An autism diagnosis describes him, it doesn’t prescribe his future. Immediately, her explanation changed my outlook on autism. It wasn’t something to avoid or be feared, but something that could be used to better understand and help my son. 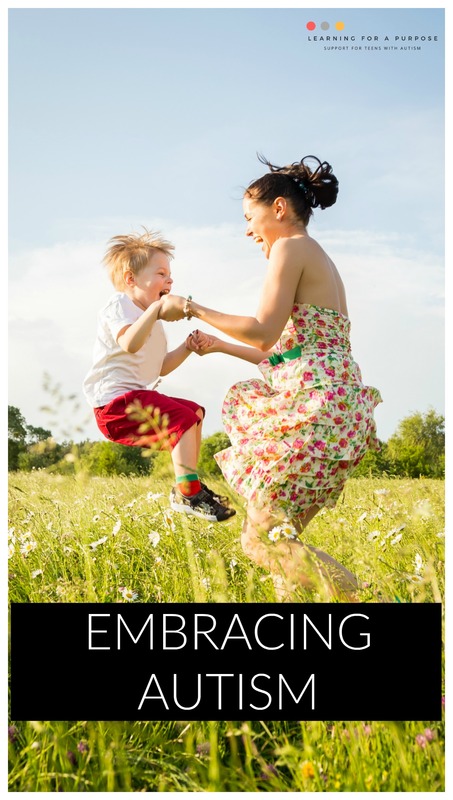 And even more than that… Autism became something to be embraced. It wasn’t this big scary monster that stole my child. It was a part of who he always had been. My son was exactly the same child before and after the autism diagnosis. Autism simply gave us a word to describe who he is, communicate his needs more clearly, and get the support that he needs. My son’s autism diagnosis gave us a community of people like him. It has given us such a huge part of our identity, and a way to advocate for ourselves. And that is something to be embraced. To be celebrated. But how do you make that vital shift? 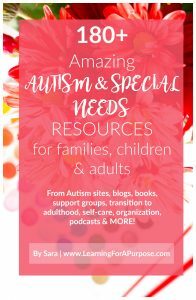 How do you stop seeing autism as a negative thing and start actually embracing all that autism means for your child’s life? 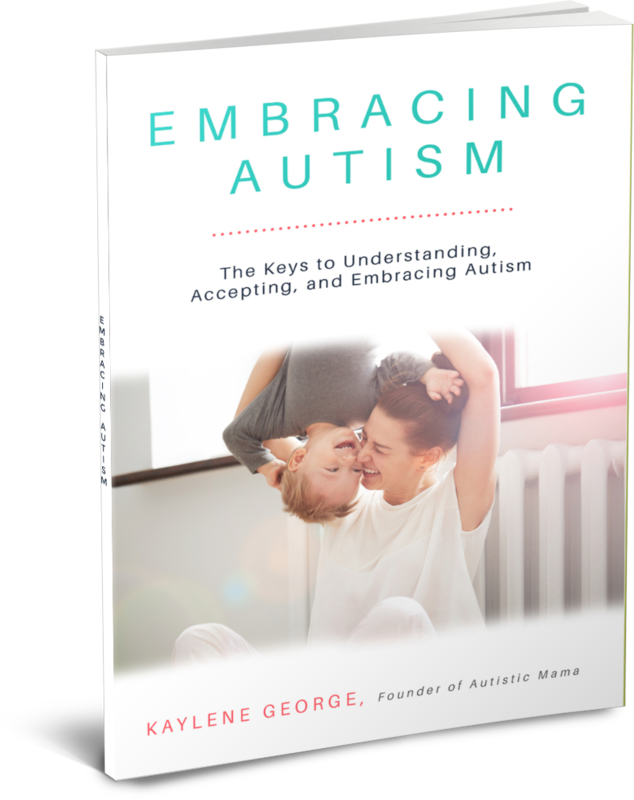 In my book, Embracing Autism, I cover the keys to understanding, accepting, and embracing your child’s autism diagnosis… One step at a time. 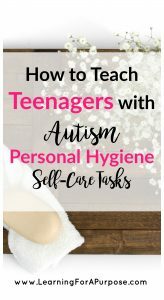 With chapters covering things like understanding and handling meltdowns, finding your autism tribe, and focusing on the positives, plus over 10 Autistic Advocate Highlights showing you exactly what type of a future is possible for your autistic child, Embracing Autism will encourage you every step of the way on your autism journey.